ROCK HILL, S.C., June 18, 2018 — (PRNewswire) — 3D Systems (NYSE: DDD) – with healthcare expertise spanning 25 years, and experience through real-world planning of 100,000+ surgeries and the manufacturing of 600,000+ medical devices - announced today availability of its new On Demand Anatomical Modeling Service. This new service provides a wide range of medical professionals with access to anatomical models 3D printed from their 3D digital files, enabling enhanced 3D visualization for surgical planning as well as patient education. Medical professionals can easily upload a 3D model file (i.e., STL, OBJ or PLY) to the company's On Demand Anatomical Models website. Customers can prepare model files with 3D Systems' D2P™ software or any commercially available software. To further expedite the process, 3D Systems created a seamless connection between its D2P software and the On Demand Anatomical Models website. This end-to-end medical solution allows surgeons, radiologists, lab technicians and other medical professionals to quickly create accurate, digital 3D anatomical models from medical imaging data. D2P now includes a unique module for Volume VR, enabling the upload and launch of the entire patient scan into a 3D Virtual Reality environment without any pre-processing of the data. This development allows the user to walk through their scans and see an enhanced view of their patient's anatomy, control layer visualization, and cut cross sections in any direction. Further enhancements include improved mesh creation options, import and alignment of external mesh file into patient scan, and 3D PDF generation. 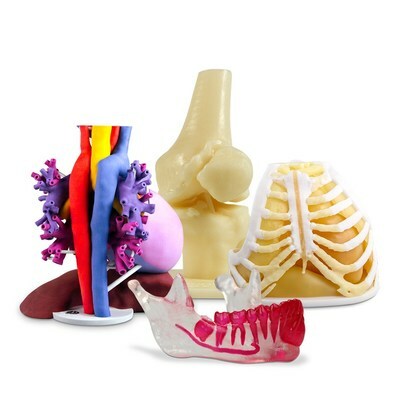 "For more than 25 years, 3D Systems has assisted medical professionals through the combination of our anatomical modeling experience and our 3D printing expertise," said Katie Weimer, vice president, medical devices, 3D Systems. "The healthcare industry is seeing the benefits provided through 3D printed anatomical models, and we are dedicated to continuing to expand our healthcare offerings to meet market needs. With the launch of our new On Demand Anatomical Modeling Service, we are making 3D printed models easier and more accessible to a broader range of the healthcare community." In addition to this new service, 3D Systems continues to offer its leading full-service virtual surgical planning and anatomical modeling services. For medical professionals wishing to produce models for diagnostic purposes and pre-surgical planning, the company provides an unmatched Patient-Specific Anatomical Modeling option. 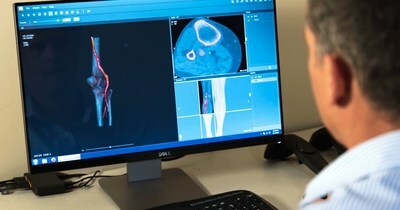 To utilize 3D Systems' anatomical modeling service, a medical professional provides a CT (Computed Tomography) or MR (Magnetic Resonance) scan of their patient to the company's team of experts at its Healthcare Technology Center in Littleton, Colorado. In turn, the company's biomedical engineers process the data, design the model and 3D print it at the facility. The finished model is then shipped to the medical professional for use in pre-surgical planning, pre-surgical rehearsal, and for educational purposes. Certain materials can also be used in a sterile environment such as an operating room for consultation during a procedure.